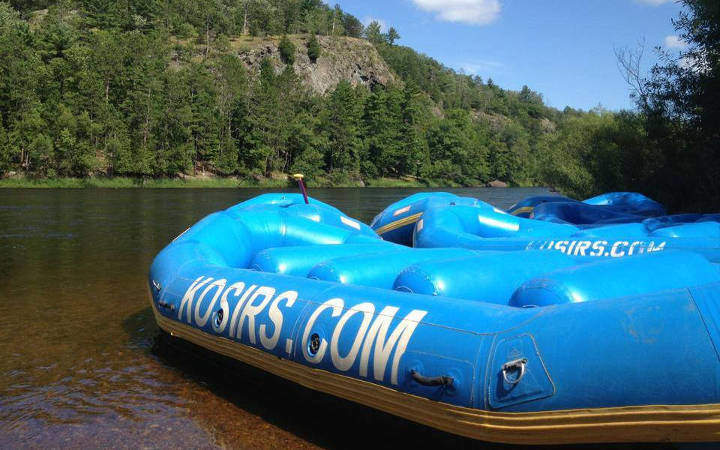 Kosir’s Rapid Rafts has been introducing people in the Midwest to whitewater rafting for more than 40 years. Most visitors find that our service and location make it worth coming back again, year after year. We have been providing the latest, state of the art equipment along with a friendly professional staff since 1975, with two convenient locations to make your trips to the Northwoods that much more enjoyable. We have a prime location on the shore of the Peshtigo River at the end of the “Roaring Rapids” section of the Peshtigo River. 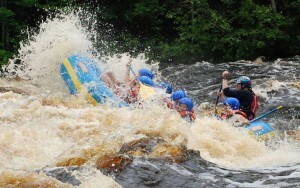 This section is one of the longest stretches of continuous whitewater in Wisconsin and the Midwest. Our location at the end of the raft trip has its advantages, especially for those who finish first. At Kosir’s, you don’t have to wait around for a bus or for your friends to finish before you can change out of your wet clothes. 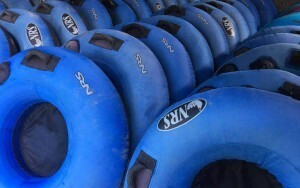 When you get off your raft, you are already walking distance from your car, the shower house, our office/gift shop, the campground, and the “Rapids Resort”. Rapids Resort is just next door to Kosir’s Peshtigo River Office/Gift Shop, our main headquarters on the shores of the Peshtigo River. It’s a great place to hang out and watch and wait for friends when you get off the river. This is especially nice when the weather is not so nice! Our Menominee River outpost is conveniently located between the put-in and take-out of our Piers Gorge trips. Located on State Hwy 8 about a mile East of US 141 and just outside the city of Niagara, WI, this location is easy to find and is an excellent point from which to start for those in a hurry to get back home. If you do have the opportunity to stay a while longer remember that Kosir’s is nestled between the Nicolet National Forest, the Marinette County Forest and the Peshtigo River State Forest, where there is much more to see and do. One of the most popular area activities is the Marinette County Waterfall Tour. This is an auto/hiking tour that can be a quick stop at just one of the waterfalls or it can be made into a multi-day event for those who wish to see it all. 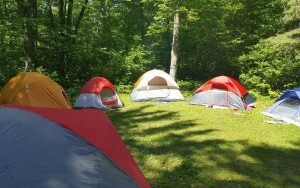 All you need to do is stop by the Campground office and we’ll be happy to help you decide which activity would be best for you and your group. We have maps and directions to most of the activities available here. 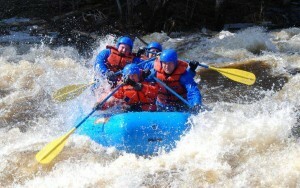 Explore our website for further information on our rafting trips, camping and lodging options and all the other information you will need to plan your next visit to Wisconsin’s northwoods. 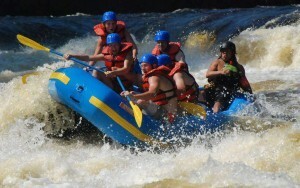 Visit our “Rapids Resort” page for more details on the bar and restaurant and cabin rentals. Please compare our trips and prices with any other company in the Midwest. 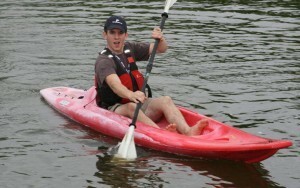 We offer trips that are perfect for first timers as well as experienced rafters. We are conveniently located and close by from anywhere in the Midwest.